Tuesday Evening February 20th, the High Desert Squadron held a Change of Command Ceremony. Maj Wissing was thanked for his outstanding leadership over the past 4 1/2 years and Lt Simmons was welcomed as the new Squadron Commander. Maj Wissing has assumed the position of Deputy Commander of Cadets, a position he has previously held, and cherishes. Thank you for helping us . . . Remember, Honor, and Teach - By thanking a veteran. Each wreath purchased was placed on a veteran's grave at Deschutes Memorial Gardens during our Wreaths Across America ceremony on Dec. 17th. 2016. There was excellent turn-out for the ceremony, with standing-room-only in the chapel. * A portion of each sale also helps support our local CAP squadron activities. Thank you for your support. CAP Gen. Vazquez announces that Civil Air Patrol is officially a member of the United States Air Force's Total Force! 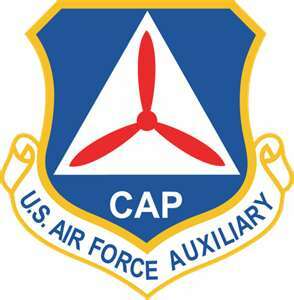 The Civil Air Patrol is the civilian auxiliary of the United States Air Force. All members are volunteers and receive no pay. 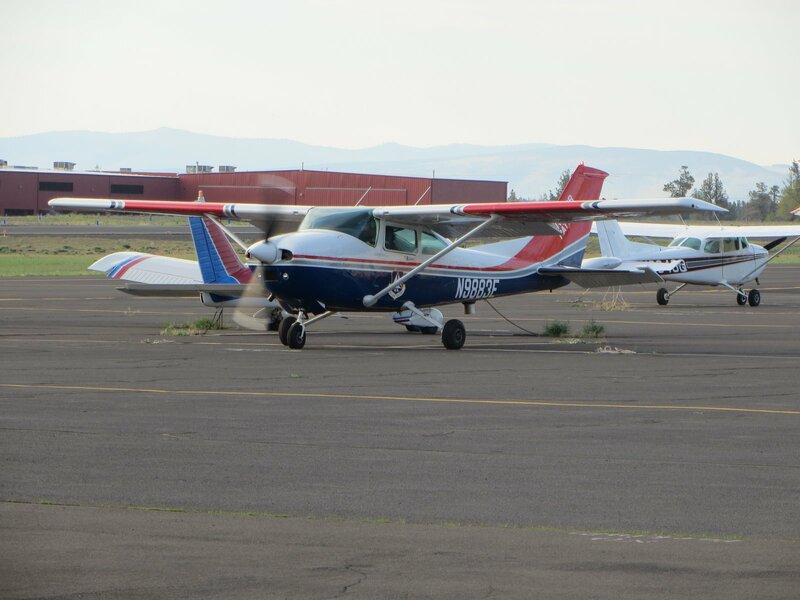 As the auxiliary of the United States Air Force, Civil Air Patrol is organized along military lines, on the National, Wing, and local/Squadron levels, though it is a civilian volunteer organization. 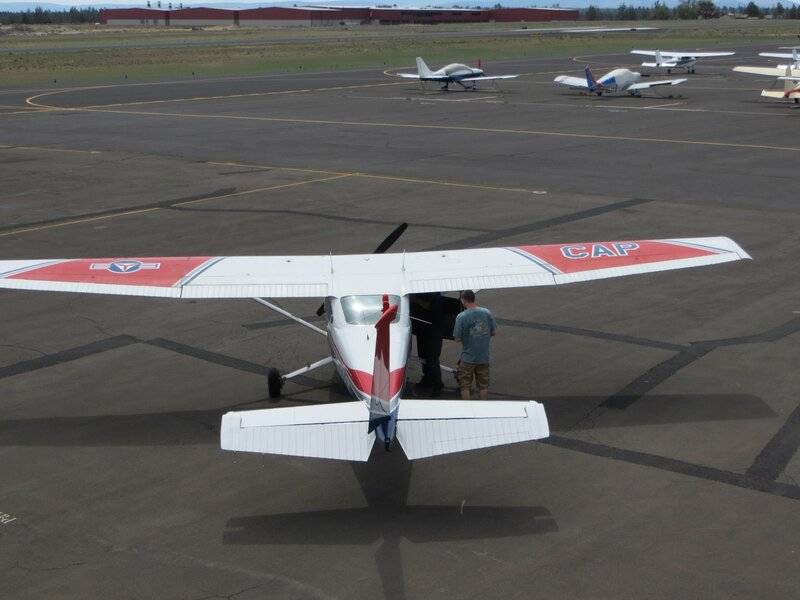 Civil Air Patrol was established in the Office of Civilian Defense on 1 December 1941 to organize and direct the activities of volunteer civilians who made their time, airplanes, and equipment available for wartime tasks. "We are not volunteers; we are professionals who just happen to volunteer". Lt Col Sandner was recently overheard saying that. When asked if he could be quoted, he said sure, but that the quote is not original to him. The entire "Composite" Squadron consisting of Senior Members and Cadets meets the first Tuesday evening of each month from 1900 to 2100 in the Airlink Hangar at the Bend Airport. The Cadets also meet there at 1900 on the intervening Tuesdays. B-25 Visit to Bend B-25 "Grumpy"